After reading Hampton Sides’ GHOST STORIES: THE FORGOTTEN EPIC STORY OF WORLD WAR II’S MOST DRAMATIC MISSION that deals with the treatment of American POWs by the Japanese during World War II it fosters the bizarre wonderment about people’s inhumanity toward people. Hampton Sides, the author of numerous books that include IN THE KINGDOM OF ICE and HELLHOUND ON HIS TRAIL, concentrates on the January, 1945 rescue of 513 American and British POWs from the hellish Japanese POW camp at Cabanatuan in the Philippines. Sides has done a significant amount of research interviewing survivors, those that rescued them, and mined the memoirs and secondary material dealing with this amazing operation. Sides immediately sets the tone of his narrative by describing through Private First Class Eugene Nielson’s eyes the mass burning of POWs on Palawan Island by the Japanese. The goal was to burn alive 150 POWs, of which, after a number escaped, eleven survived. After General Douglas MacArthur had landed on the island of Leyte he dispatched General Walter Krueger, the Commander of the US Sixth Army toward Manila. 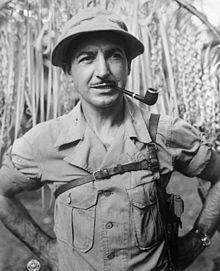 As his forces neared the city of Cabanatuan he came across Major Robert Lapham who led a band of Filipino insurgents against the Japanese. Krueger learned there were roughly 500 POWs, many survivors of the Bataan Death March and Corregidor, remaining in the Cabanatuan camp. Lapham also learned there were 8-9,000 Japanese soldiers around the city. Army intelligence understood Japanese contempt for POWs in general and feared that the remainder of these men who would suffer a horrible death at the hands of the Japanese if nothing was done. With 27% of all POWs killed by the Japanese, Krueger needed little convincing to attempt a rescue mission, an action that forms the basis of Sides intimate and at times horrific narrative. Sides introduces all the major characters involved in the mission from Lt. 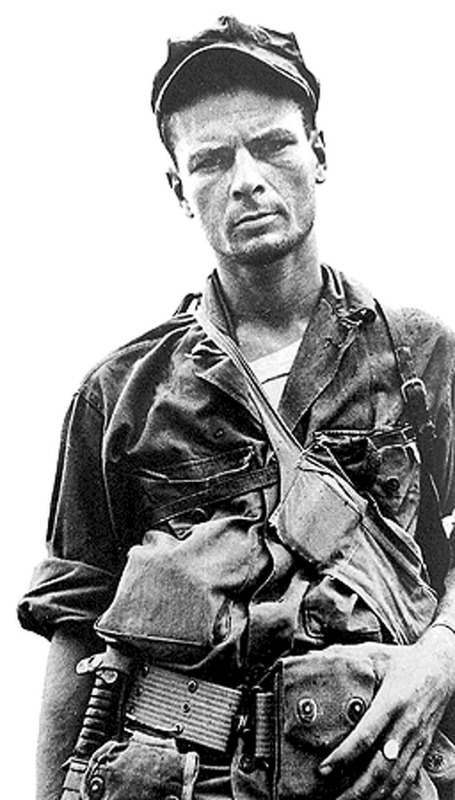 Colonel Henry Mucci, the Commander of the Ranger Battalion that would carry out the rescue, Captain Robert Prince, the assault commander and the man who implemented the strategy needed, to Dr. Ralph Emerson Hibbs who did his best to keep the POWs alive. American soldiers had no concept of the Japanese cultural view of surrender. They had never been trained in the concept or how to behave as a POW. Since the Japanese culture saw surrender as cowardice and dishonorable their treatment of those who did surrender was appalling. Sides structures the narrative by alternating chapters between the plight of the POWs from their capture, the Bataan Death March, their treatment at Camp O’Donnell, to their incarceration at Cabanatuan; with the training and implementation of the Army Ranger assault on the camp, and the resulting freeing of the POWs. The Japanese Commander, Lt-General Masaharu Homma actually believed that 25,000 POWs could be taken to Cabanatuan. He believed that they could march to the camp, however he had little knowledge of their health and strength, and that the prisoner figure was closer to 100,000 resulting in a murderous calamity. Sides does a superb job describing the recruitment and training of the Army Rangers. He provides a number of character profiles of the men and allows the reader to feel as if they know them. They would move out on January 28, 1945 along with their Filipino allies, without whom the mission would have been doomed. These Filipinos led by Captains Eduardo Joson and Juan Pajota knew the topography of the region as well as having important insights into Japanese strategy. Side’s offers intimate details of the inhuman conditions that existed at Cabanatuan. The POWs lacked food leading to malnutrition and starvation, suffered beheadings, bayoneting, and torture and human cruelty that was unimaginable. Sides takes us back to 1942 and describes the three years of captivity. Food became an obsession to the point where POWs actually traded recipes, and perhaps their happiest moment occurred on Christmas day, 1942 when Red Cross packages arrived. For the POWs, who had learned to rely on themselves during the Great Depression “self-reliance” became their mantra as “stealing, hoarding and scheming” dominated their behavior. 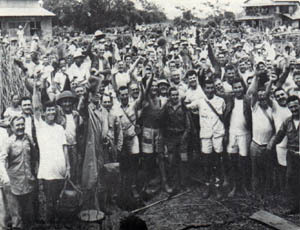 The key for the Rangers was to complete the rescue before the Japanese killed all of their prisoners. The Rangers were “flying blind” because no amount of training could have prepared them for what they were about to attempt. As the narrative progresses Sides introduces many important individuals. One of the most interesting was Clara Fuentes, a.k.a. “High Pockets,” a.k.a. Madame Isubaki, a.k.a. Claire Phillips, an American spy who ran a night club that was a clearing house for information and used the proceeds of her business to supply medicine, clothing and whatever supplies could be smuggled into the camps. Her story was one of the many amazing ones that Sides offers. Sides places the reader next to the Army Rangers as they crawl a good part of the thirty miles to reach their target. We witness the thought processes of Captain Prince and his Filipino allies as they approach the camp and begin the assault. The stories that Sides conveys as he takes us through the assault are heartwarming as they reflect the suffering that these men endured. At first when the Rangers entered the camp, prisoners were confused, fearful, suspicious, and in shock to the point where the Rangers had to forcefully remove a number of them. 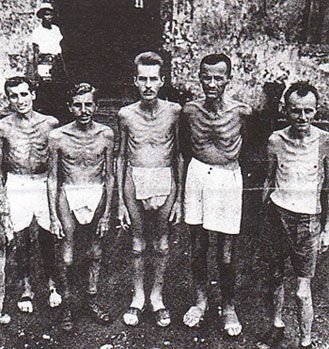 The rescuers were appalled at what they saw, in particular the condition of the POWs as many were emaciated and sickly. What is interesting is that once the escape takes place and the men have to march miles and miles to freedom they take on a different persona as their pride is somewhat restored and they dig deep down and find strength and emotions that they thought that the Japanese had beaten out of them. Sides follows the narrative with an epilogue that touches the heart as he describes the voyage on the USS Anderson through enemy waters to return to the United States and a hero’s welcome. Sides then summarizes how a number of the US Army Rangers and the men they freed lived the remainder of their lives. GHOST WARS is a triumph of the human spirit that I recommend to all. ← Amazing what you can do in 24 hours!